To enquire about distribution, please kindly email >>us<<. Thank you. 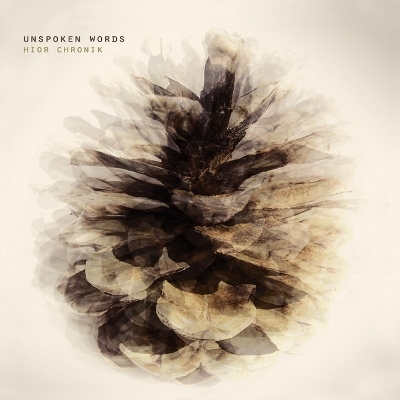 text := "'Unspoken Words' by Hior Chronik is music for late night car rides and in its own beauty it is definitely a part of my soundtrack for this year autumn and dark winter times." - Hauschka. "Essential experimental music!" - Nils Frahm. On any changeless morning, so many pieces of the forming day look the same. There's no less beauty, without the dew-heavy air, or the sun burning through a bedroom window, deeply yellow, and warming a home. These times remain the same, but it's in the memories, the moments that happened at these times that we remember. 'Unspoken Words', the new album on mü-nest from Greek artist Hior Chronik, denotes a gentle poise from these touchstones, and in so many generous expressions, communicates a work that is both memorable and soulful. Eliciting the contribution of an extensive assemblage of musicians such as Roger Doering (of Dictaphone), Takeshi Nishimoto (of I’m Not A Gun), Zinovia (of Pill-Oh), Natalie Tba Beridze, Akira Kosemura (Schole label), Nao Pon (Dynamophone Recordings label), and El fog (Flau label), their contributions only further accentuate and give warmth to their surroundings, through exceptional arrangement, and open-hearted composition. New ideas flourish in a fresh surrounding, given the patience and attention to extend. With a memory and future that is both melancholy and ebullient, the pathways are leading in many directions, and each moment holds that which won't be forgotten, but can be cherished, explored, and inspiring. Official PV for "You are a bright star" by Hior Chronik. Taken from the upcoming album "unspoken words" (mü-nest, 2011). PV directed and produced by Nuzumaki.